I love discovering hidden gems and reviewing an Indian restaurant in the seaside town of Aldeburgh turned out to be just that – it was the most amazing food in the most unexpected location. I have to admit at first I was dubious as to how the flavours would be executed comparative to North London. However, it blew my expectations totally and this is a restaurant which I truly believe will one day be awarded with a Michelin star so definitely one to keep an eye on! Under the helm of Head Chef Pratap Singh Rabat, who has worked at popular restaurants in his career including Chor Bizarre in London (which used to be a favourite of mine), Tamarind and Atul Kochhar’s Benares, Sea Spice combines authentic Indian flavours with local Suffolk coastal produce. Starting off with some bubbles, we read through the really interesting but really fantastic menu, trying to decide what we wanted to eat. For nibbles, I went for the Crispy coated Okra. I love Okra but Amit doesn’t go anywhere near it so I was really pleased to have these crunchy morsels of delight all to myself. Masala Peanuts is the perfect nibbles, especially having grown up in Kenya, where we enjoy it in a similar way. This invoked such amazing nostalgia and was rather addictive. Our third selection from the nibbles was Mixed Bhajis, which were perfectly cooked and served with a delicious tangy chutney. For starters I went for the Jhinga Dakshini, which was Tiger prawns cooked in crunchy chickpea flour. I love chickpea flour, also known as besan, and this was so unusual and a real delight to eat. This was definitely a dish that married Suffolk sea food with Indian cooking styles and it was definitely a match made in heaven. Amit went for the Gilafi Seekh Kebab, which he absolutely loved. He thought it was marinated really well and full flavoured and had a melt in your mouth texture. 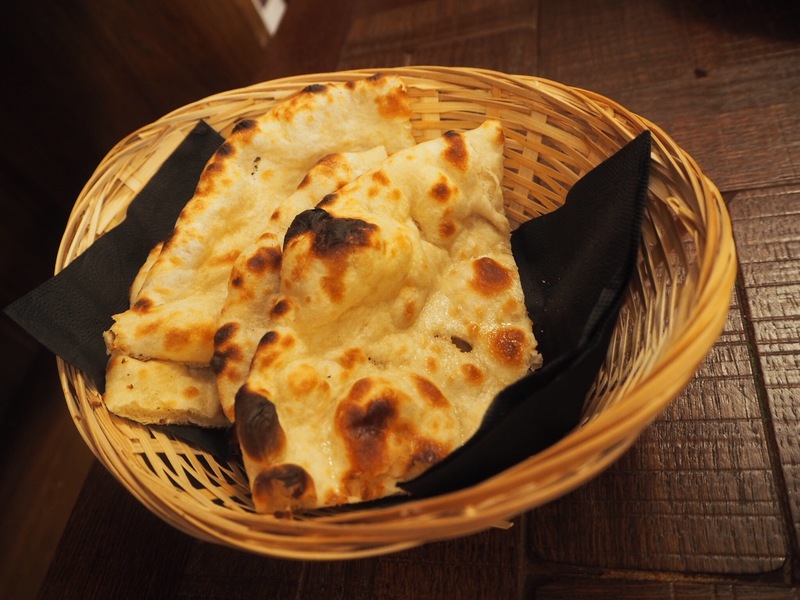 For mains, to accompany my choice of dish, I went for fluffy and light butter naan, which were served hot, with melted butter and dreamy. 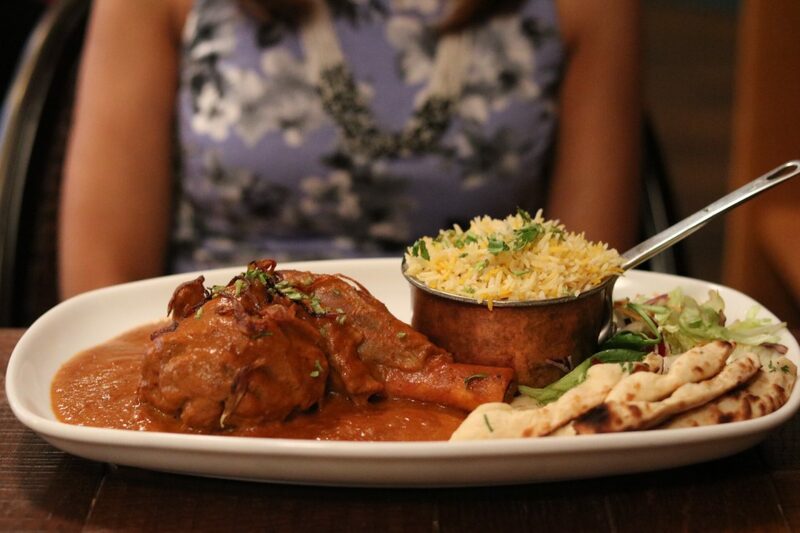 I chose the free range butter chicken, for my curry dish, and it was rich, superbly flavoured and indulgent. Lip smackingly good. He really enjoyed this dish, especially the flavours, which came through so well, highlighting the amount of time this had been marinated and cooked for to perfection. Dessert was exciting! Having spotted Masala Creme Brûlée on the menu, there was no way I was going to have anything else! It was bursting with flavour, garnished beautifully and sensational. If you are visiting Suffolk, this restaurant is so worth the trip! I recommend booking in advance as it was really busy and popular and can’t even explain how good the food was. Just really urge everyone to go try it!